Major points for curb appeal, but if those aren’t just the worst reminders to wake up to every morning. Swell voting though, folks. Makes for one hell of a Halloween costume. So, anyone out there the proud owner of a badass movie tattoo? Reblogged this on Daniel Waltz. Yeah, I saw that last week. Definitely some winners on there. Check out Do the Right Thing and When the Levees Broke if you want to see the best of Lee. The former’s on Netflix Instant and the latter is REALLY worth tracking down. Dude can be hit or miss, but he’s certainly made some classics over the years. Really hoping his Oldboy remake this year isn’t a dud. 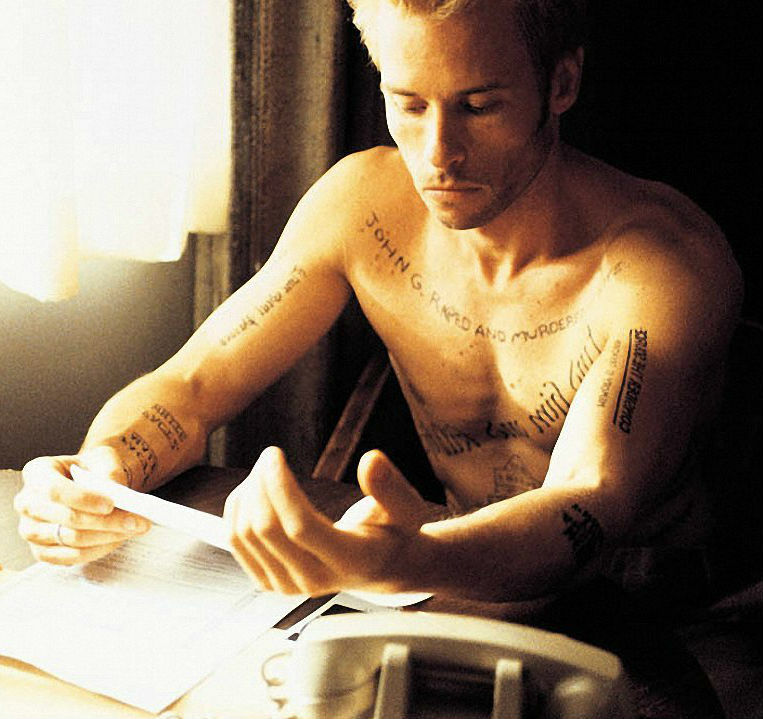 Memento is a great film, definitely lands in my top 10. Lenny deserves this win! Haha. It’s the least we can do for the poor guy.